A balance disorder is a disturbance that causes you to feel unsteady, giddy, woozy, or have a sensation of movement, spinning, or floating. Most often, the source of dizziness and a loss of balance can be traced to a problem in one or both of your ears. An organ in your inner ear, the labyrinth, is an important part of your vestibular (balance) system. The labyrinth interacts with other systems in the body, such as the visual (eyes) and skeletal (bones and joints) systems, to maintain the body’s position. These systems, along with the brain and the nervous system, can be the source of balance problems. 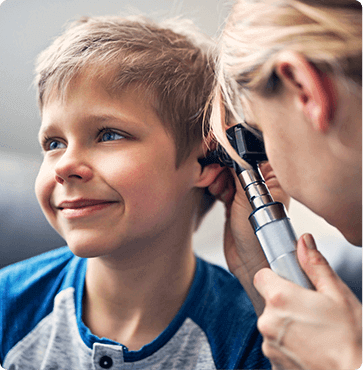 Diagnosis of a balance disorder can be complicated, requiring a physical examination by an otolaryngologist and tests to assess the cause and extent of the disruption of balance. There are various options for treating balance disorders. One option includes treatment for a disease or disorder that may be contributing to the balance problem, such as an ear infection, stroke, or multiple sclerosis. Another option includes balance retraining exercises. For those diagnosed with Meniere’s disease, dietary changes such as reducing sodium intake, reducing alcohol, caffeine, and/or avoiding nicotine may be helpful. Whatever the cause of your dizziness and balance disorder, the specially trained otolaryngologists at Austin ENT Clinic can help. Request an appointment to discuss your condition with one of our specialists or call us at 1-800-876-EARS (3277) to arrange a consultation.